In 1976, terrorists hijack an Air France airplane, and divert it to Uganda, where they demand to exchange their hostages for fellow terrorists held in Israeli jails. True story of a daring Israeli commando assault on the Entebbe Airport in Uganda to free hostages of a terrorist hijacking. Benjamin Wise: What are you reading? Benjamin Wise: You read that one in Tel Aviv! Etta Grossman-Wise: Um-hum, I know. 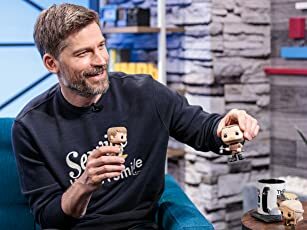 But fortunately, I have just gotten older and absent-minded enough to have forgotten who the murderer is! Victory at Entebbe Meets Defeat on the Small Screen. The bargain-basement production values that mark this quickie shoot-em-up, filmed and released literally months after the dramatic Israeli commando raid, would be enough to consign this turkey to the dustbin of TV history. But it gets worse. The audience can play spot-the-star as Hollywood legends Liz Taylor, Kirk Douglas, Burt Lancaster, Helen Hayes etc., turn in embarrassing cameos. Unintentional hilarity is the only possible response to the scene in which Linda Blair offers a box of chocolates to the flight crew and the terrorists holding them at gunpoint. Mirth gives way to anger, however, when the film depicts unruly hostages being deliberately shot down by Israeli soldiers during the rescue scene! With rescuers like these, who needs hijackers? 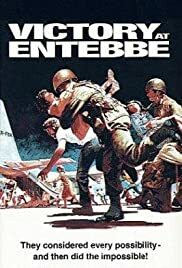 "Raid on Entebbe," which came out a year later with Charles Bronson, is much the superior account of this operation.